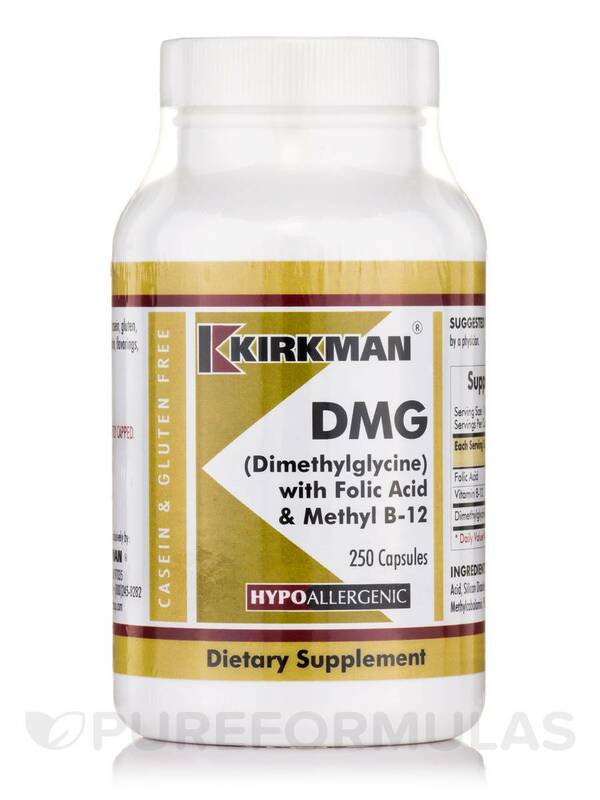 If you’re looking for a supplement that could potentially work to maintain overall well-being‚ you might want to try DMG with Folic Acid & B-12 by Kirkman. 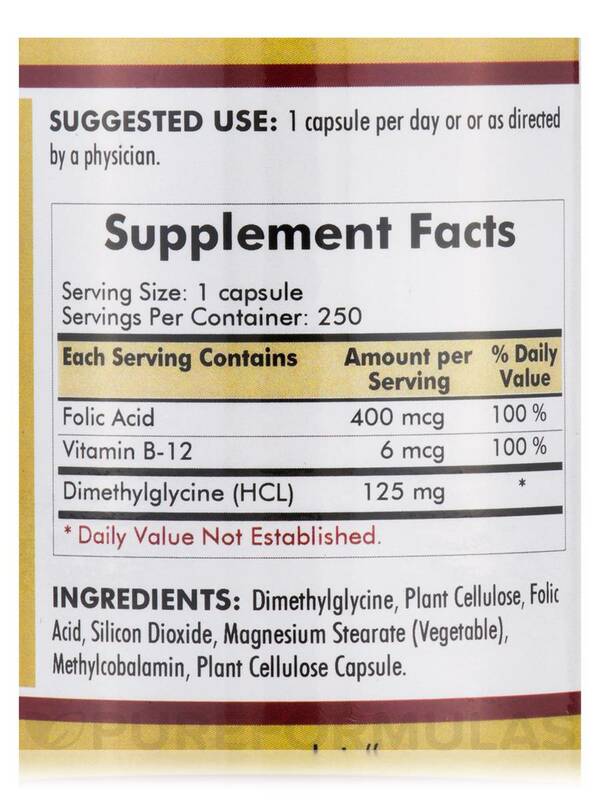 First‚ DMG with Folic Acid & B-12 provides 125 milligrams of DMG (dimethylglycine). DMG is considered to be a methyl donor‚ which means that it may work to support your brain’s production of neurotransmitters that are involved in regulating mood and cognitive function. 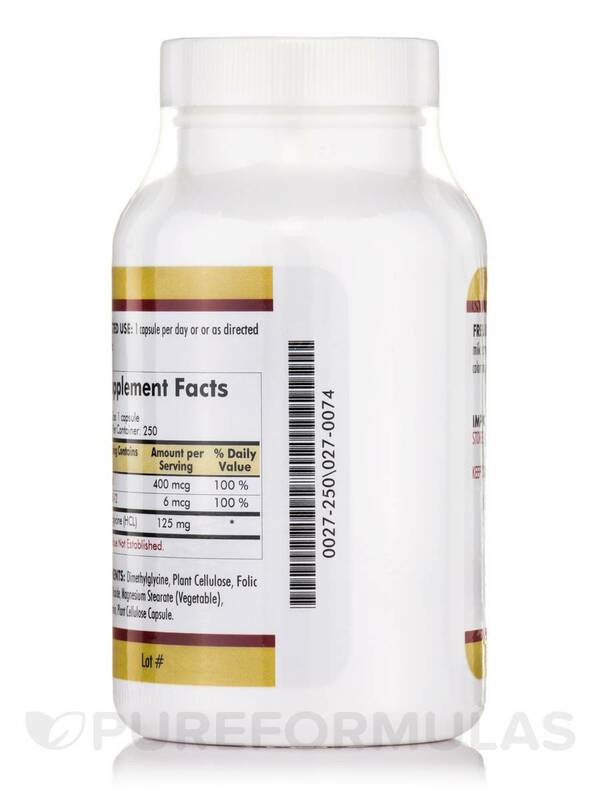 Moreover‚ this hypoallergenic supplement contains 400 micrograms of folic acid and six micrograms of vitamin B12. Notably‚ folic acid could potentially act to support DMG activity; specifically‚ these two ingredients may cooperate in order to preserve already healthy homocysteine levels. 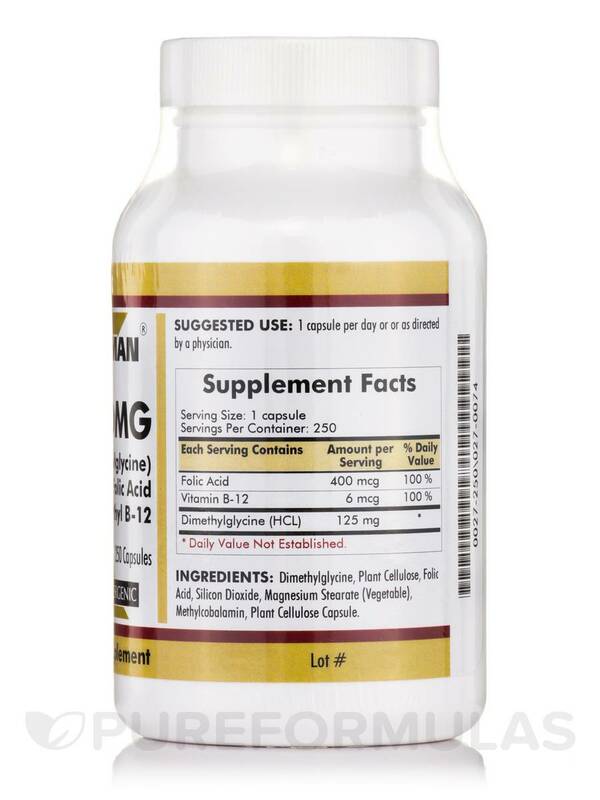 As a result‚ DMG with Folic Acid & B-12 might work to maintain optimal cardiovascular function. 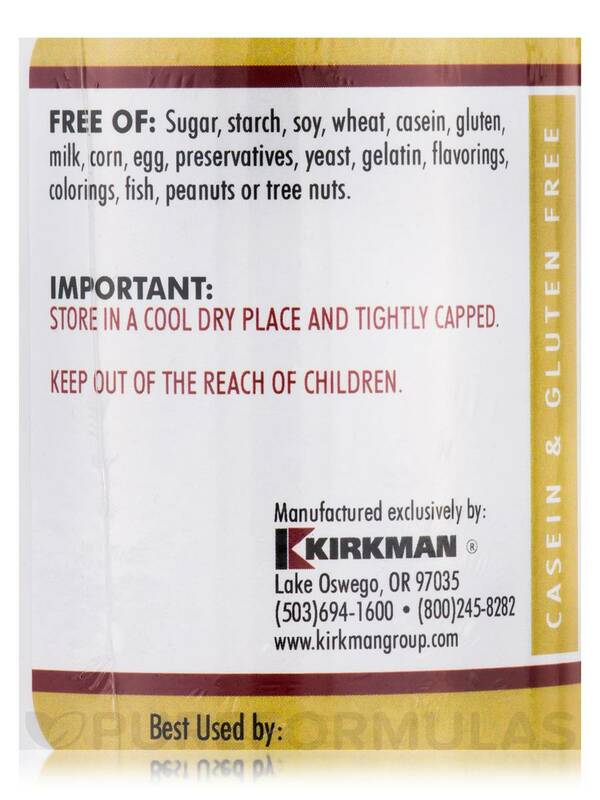 Finally‚ the vitamin B12 in this Kirkman product may help address certain symptoms associated with a mild B12 deficiency‚ such as fatigue. Take one capsule daily. 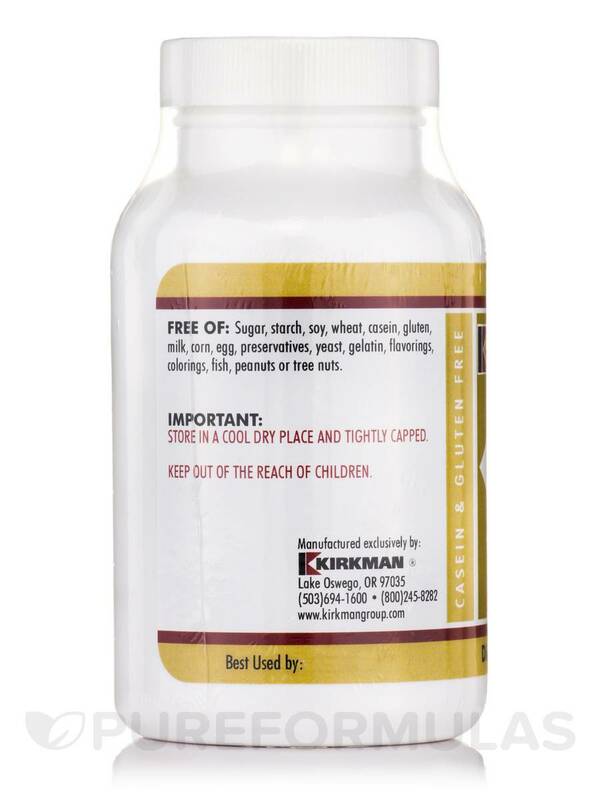 At the recommended serving size‚ each 250-capsule bottle of Kirkman’s DMG with Folic Acid & B-12 should last for more than eight months. Dimethylglycine‚ Plant cellulose‚ folic acid‚ silicon dioxide‚ magnesium stearate (vegetable)‚ methylcobalamin‚ plant cellulose capsule.